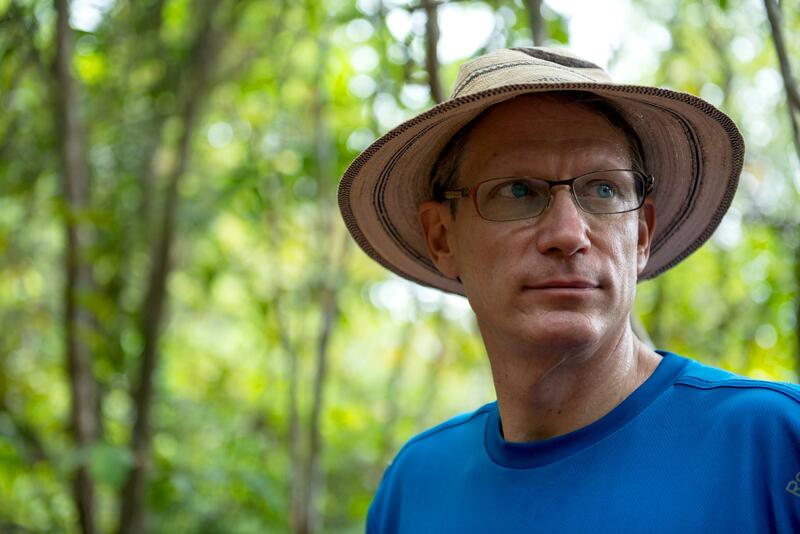 Jeff’s research interests include conservation biology, ecosystem services, tropical forest ecology, tropical forest silviculture, and management and restoration ecology. His current research focuses on understanding the flow of goods and services provided by tropical forests and how they change with land use and climate change. The earth continues to lose forest annually across the tropics. Human populations continue to grow in the tropics and around the world such that humans will be forced to rely on diminishing mature forests as well as planted and naturally regenerating secondary forests for goods and services. Jeff leads the Agua Salud Project in Panama. The Agua Salud Project includes a 700-hectare landscape-scale laboratory where they quantify goods and services provided by a seasonal tropical forest and how they change with land use. Through a series of core monitoring networks and controlled manipulations, they strive to understand the role of biodiversity in regulating stream flow, sequestering carbon, and other ecosystem processes with the goal of developing the next generation of models that will allow us to make projections in a future dominated by global change. He is also involved in silviculture and forest management research in Central Africa. Jeff is located at the Smithsonian Tropical Research Institute (STRI) in Panama and you can find his Bio here. Video: What is Agua Salud?